I’m thrilled to announce the launch of JUICY, YOTH’s newest colour palette available for sale starting January 23rd. Gorgeous bouquet of JUICY colours. 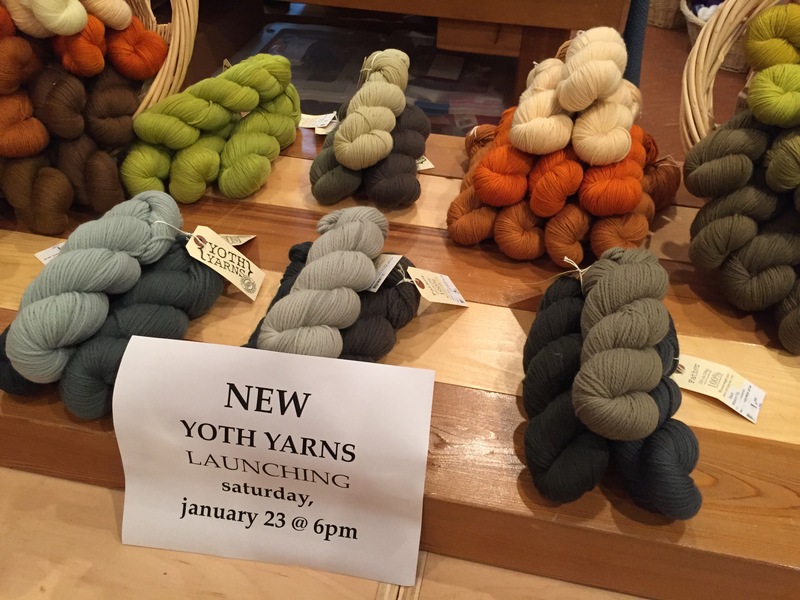 Photo courtesy of Sarah P.
Additionally YOTH has add two new yarn bases added to their family: Mother, a heavy lace, and Father, a worsted weight yarn. These differ from their MCN (merino/cashmere/nylon) Brother and Sister in that they locally harvested 100% Domestic Rambouillet from from small scale Pacific Northwest farms, local to YOTH’s northern Washington home base. The new Mother and Father bases available in the Raw and Fresh colourways. 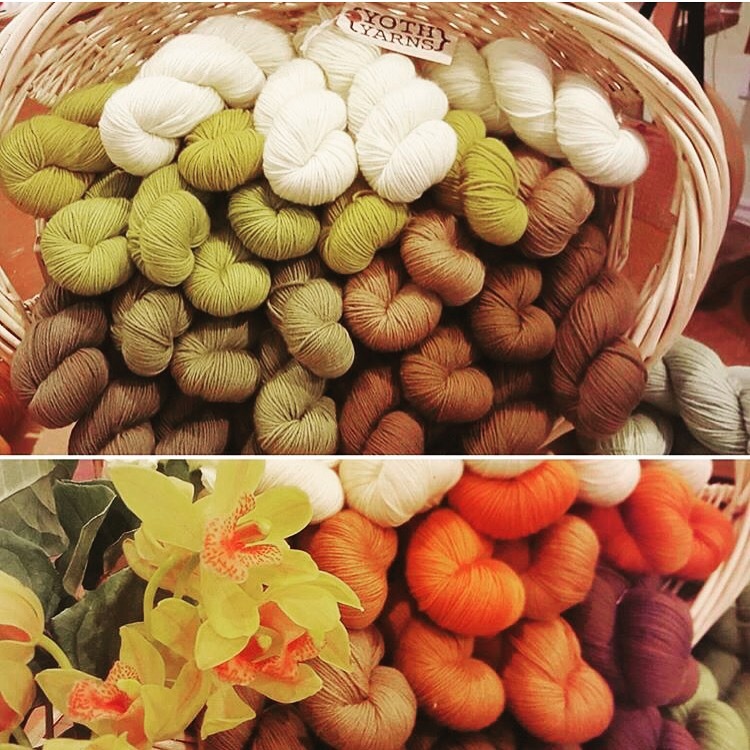 Come meet the family at the YOTH yarn trunk show this Saturday from 6-8pm, where founder (and big sister) Veronika Jobe will bring knit samples of this lovely yarn for show. Yes absolutely… we just stocked up on those as well!